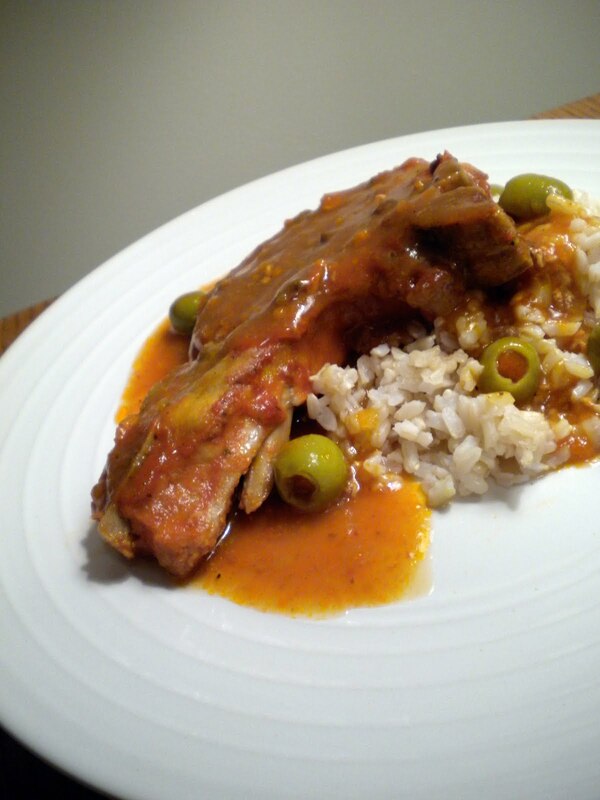 I’d like to start off by saying, I don’t know if there’s anything remotely “Cuban” about these CUBAN SLOW-COOKER PORK CHOPS. This recipe is courtesy of my mother-in-law. Her husband is Cuban which makes my husband half Cuban and if we want to call these Cuban chops, so be it! I love having simple recipes like this on hand that can be put together quickly for nights I hit the gym after work and don’t have time to cook. The crock pot is great for that. But if you insist on feeling fancy and up-scale, go ahead and call it a slow-cooker. I won’t judge. Here are my biggest tips when it comes to the slow-cooker. The concept of “leave your meal cooking all day and it’s ready when you get home” doesn’t quite work out the way it’s intended. 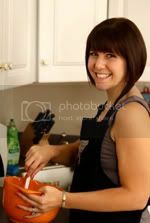 Personally, my work day is very long and by the time I get home, the food goes from moist and tender to dry and stringy. I find that most meats cook best for 6 hours on the low setting, so I set my crock pot to cook overnight. When I wake up in the morning, I put the bowl in the fridge and it’s ready to be reheated for dinner. This reheat tactic is also great for skimming off any excess oil or fat that rises to the top once the food is cooled. Lastly, use bone-in meats when possible. Healthy eaters are pre-programmed to grab boneless, skinless everything. For the slow cooker, fight the urge. Since the meat cooks for so long, the bones and skin add a lot of necessary flavor and moisture. You can toss the bones and skin before you even serve it. I have to be honest, pork chops are not my all-time fave so I was psyched to find a way to prepare them that I really enjoy. I don’t normally use a lot of canned ingredients, but the jarred sofrito is an awesome timesaver. All of the herbs and spices are already cooked down into a tasty cooking base. Jarred products can be very salty, so I cut the salt with straight-up tomato sauce and some water. When the sauce cooks down with the meat, just a few simple ingredients become a really delicious main course. Pineapple Crunch Sundae: Who needs Red Mango?